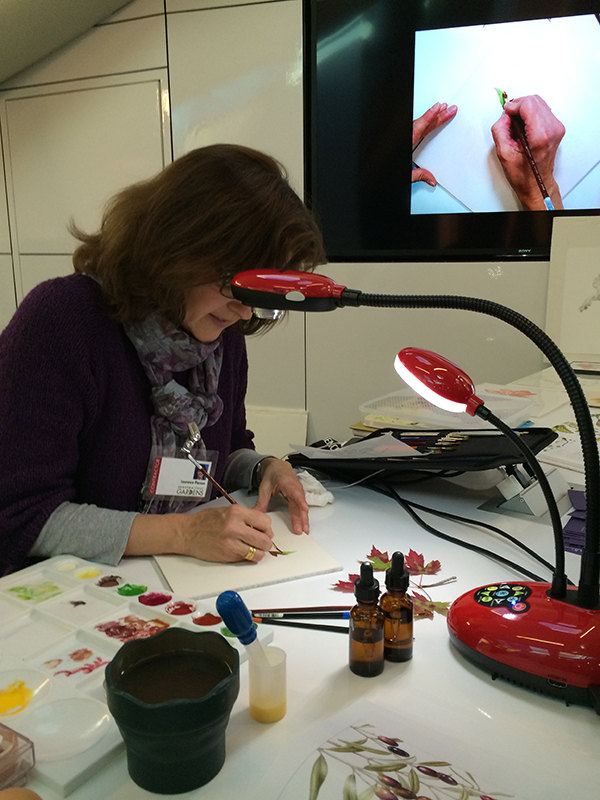 Laurence Pierson demonstrating her beautiful egg tempera technique. The camera/light in the foreground is the one mentioned in the article. Photo by Beth Stone. 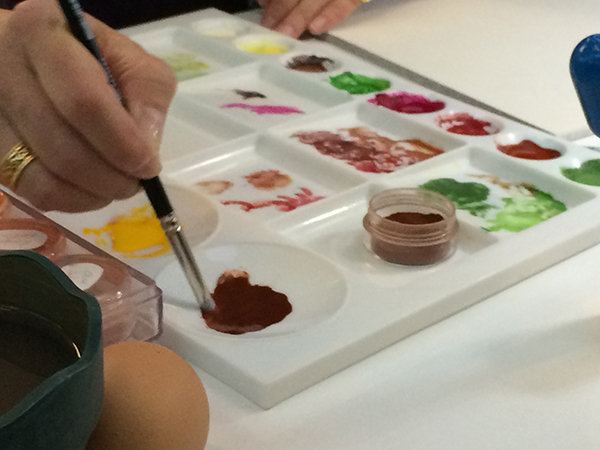 At the Denver Botanic Gardens, Laurence Pierson demonstrated egg tempera on gesso panel. 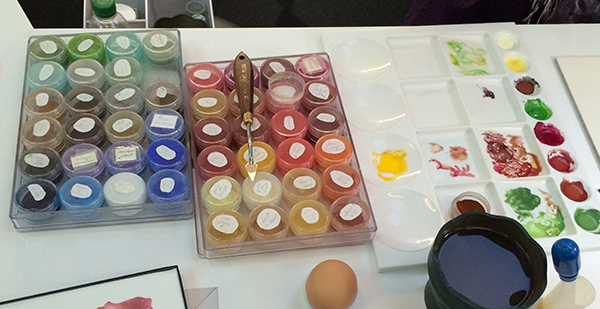 She mixes dry pigment with water using a colour shaper, adds a bit of alcohol if the particular pigment requires it to dissolve, and mixes in a bit of egg yolk. Laurence’s background is in painting icons, typically on wood panel prepared with gesso and often including gold leaf. 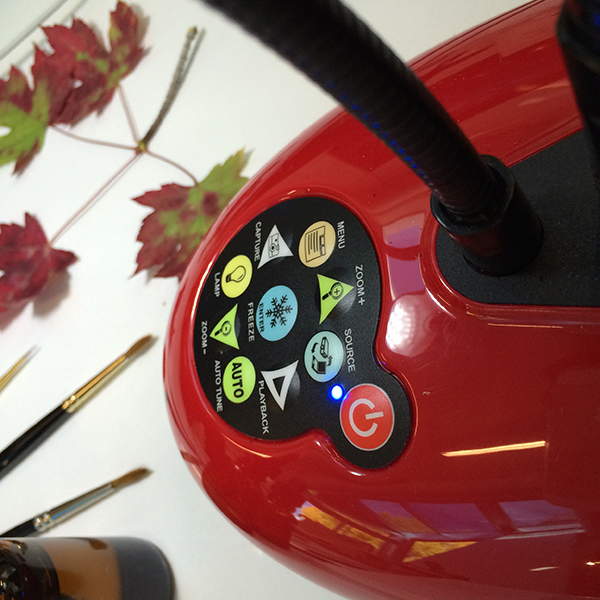 She applies her skill with tempera to botanical subjects with beautiful results! Ladibug lamp detail. Photo by Beth Stone. 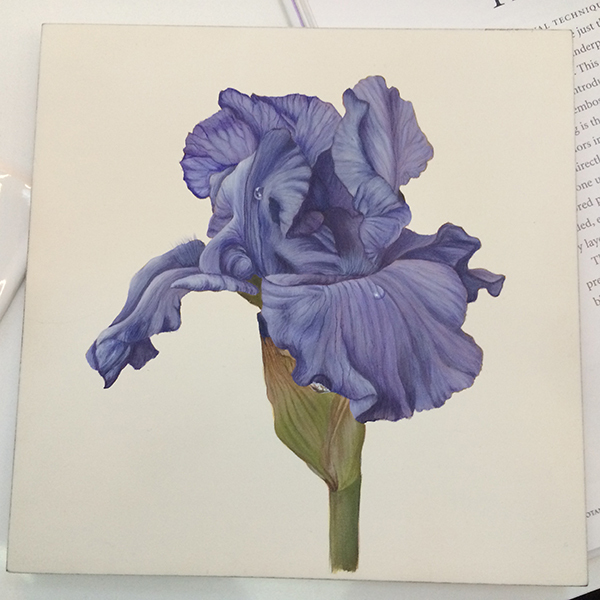 Iris painting in egg tempera by Laurence Peirson. Photo by Beth Stone. Laurence Pierson’s palette looks like a jewel box. Photo by Beth Stone. Laurence Peirson mixing egg tempera. Photo by Beth Stone.